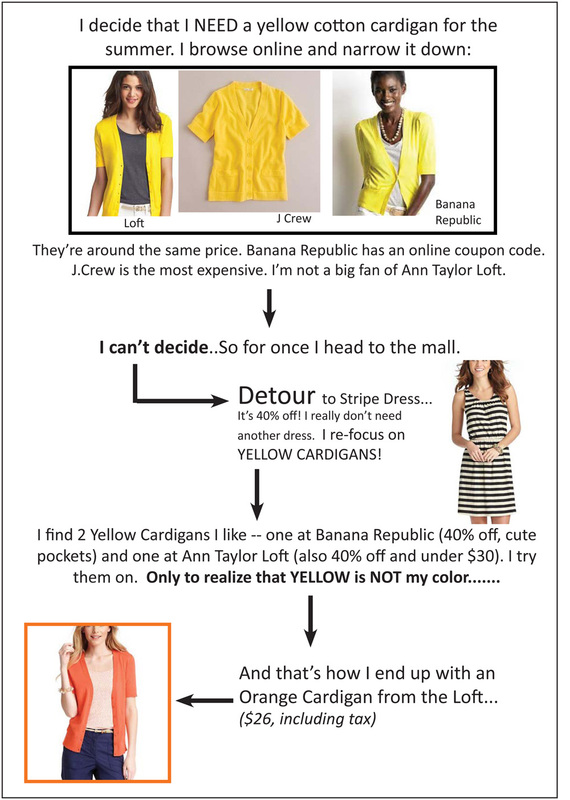 Just In Case You’re Curious My Shopping Thought Process…. This entry was posted in random thoughts, shopping and tagged cardigans, charts, fashion, funny charts, shopping. Bookmark the permalink. If I wore yellow with black and white I would definitely feel and look like a bumblebee! Yellow is not really my color either. But I actually have (and LOVE) that striped dress from Loft. It has POCKETS…I wear it every weekend. Oh, now I think I have to go back and reconsider the striped dress!